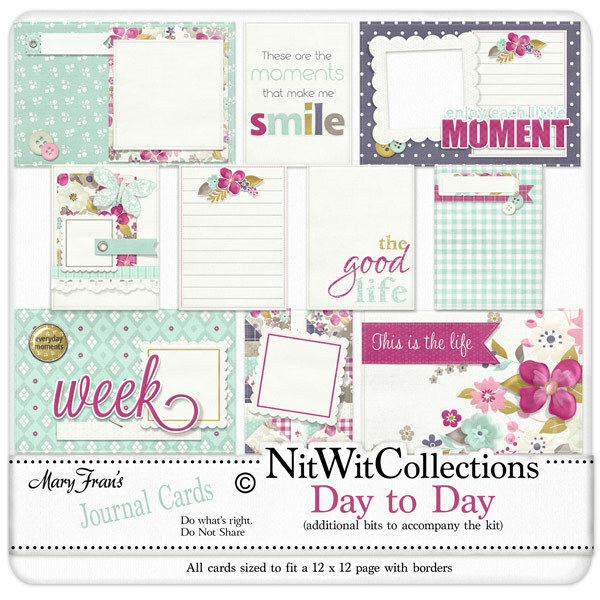 "Day to Day" Journal Cards are what I'm so excited about with our new Everyday Life Series..... Pocket Journaling! Now I know I'm coming late to the party here but my dance card is full! haha I can't believe how quickly a layout comes together when I used my pocket journal cards that I created for this collection. So much detail but sooo quick and sooo fun... plus I was able to document some everyday moments. for ourselves... and in the end isn't that all we have.... our memories? Love it and I'm hoping you will too! These journal cards are NOT included in the ELS "Day to Day" Collection.